A portable crib is one of those items that can make life with a little one SO much easier. Families who are on the go often find that they feel really limited in their ability to travel or even to spend a day in a new place when they have a baby, but a pack and play can be a complete game changer for families who want to be able to spend time away from home with a young child. Choosing a portable crib can be a real challenge though – where to even begin? There are SO many options out there with a wide range of pricing. One essential is that you must ALWAYS make sure that whatever you buy is approved for use and is up to date with the highest safety standards. Before you buy, check with the Juvenile Products Manufacters Association or Keeping Babies Safe in order to find out if your child’s crib is safe. 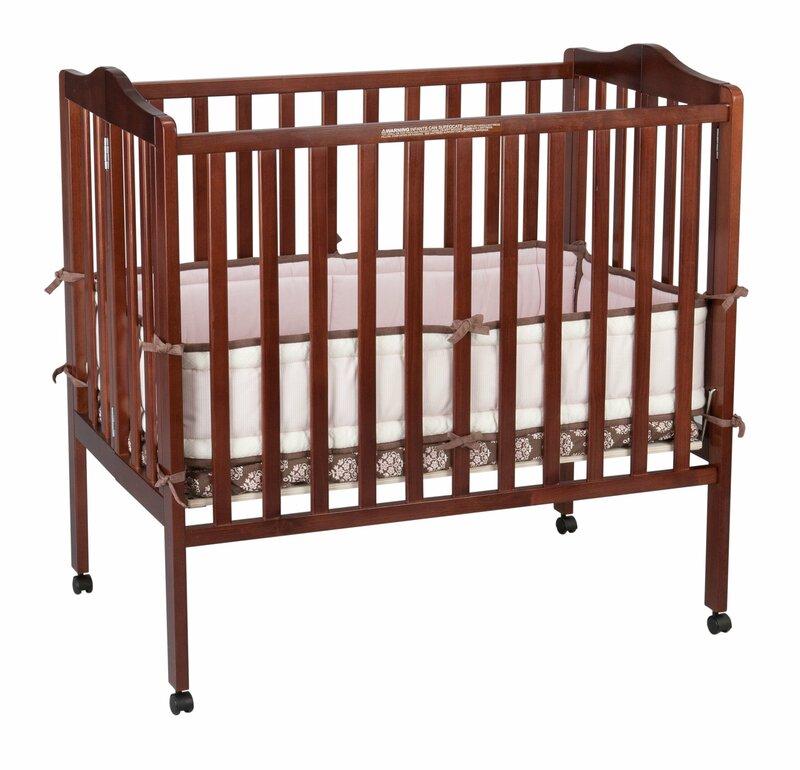 There are various kinds of portable cribs with various kinds of features and benefits. In order to find the right fit for your family, read on for the options that are available. These are for children who are smaller and not yet mobile at all. Bassinets (or cradles) are for babies up to about 4 months old. They have their own mattresses and look like small cribs, with the ability to be rocked to offer comfort to the little one. Bassinets are small, so they don’t fold up like the bigger cribs that you’ll read about later. These options aren’t made for older children, and so are not safe for your child once they’re bigger and able to get moving. You can get foldaway cribs that have a bassinet level built in (see the next section about fold away portable cribs). However they tend to be less expensive and are easier to carry for new moms who are just recovering from giving birth. Not to mention there’s just something wonderful about having something for a child so small – after all there’s only this little bit of time that you can use it! Here are three of the options for the best bassinets for your little one. When we think of portable cribs, this foldaway kind is generally what we think of. 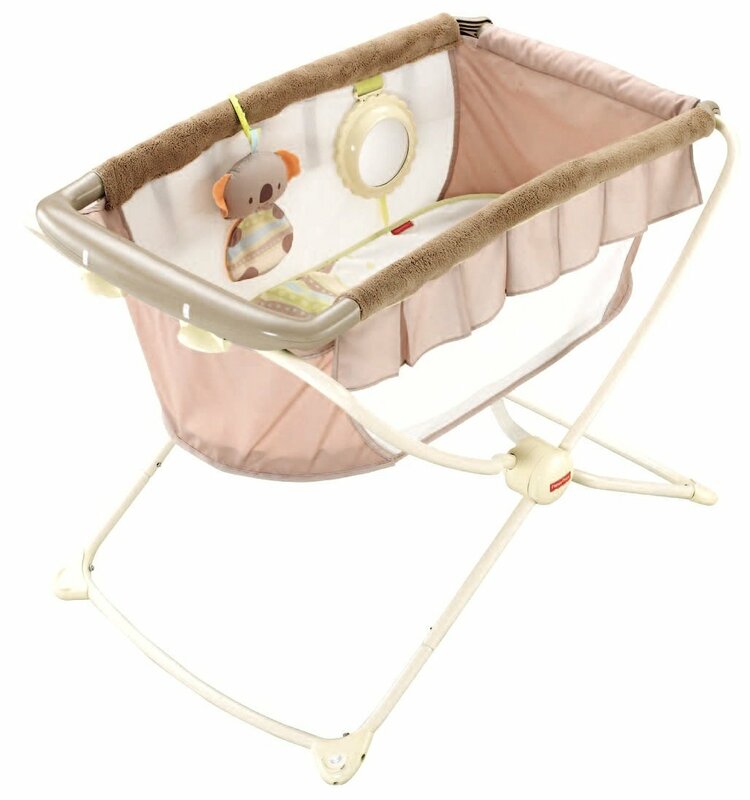 These cribs often have a one handed folding ability, and they can also come with a bassinet insert that sits in the top and serves the same function as a bassinet. Some even come with built in changing tables, plus mobiles and other accessories. Some look much like a regular crib, while others come with mesh or fabric sides. They use crib sheets, which are must have in order to keep the crib clean and easy to use. You can get an extra mattress to go on top of the bottom insert if your child is going to be sleeping here for an extended period of time. 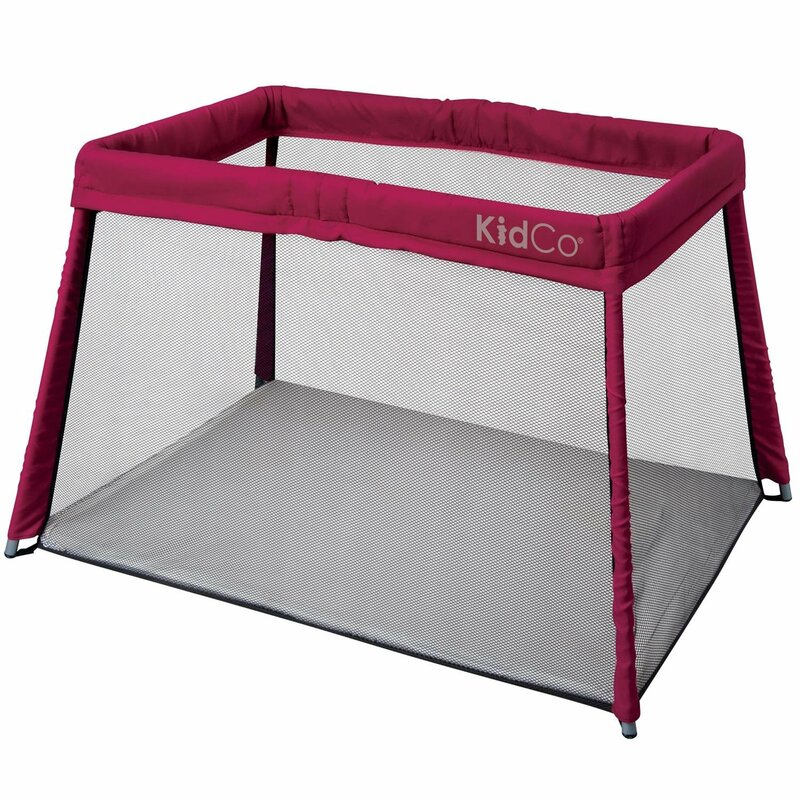 The best features of these cribs are that they are easy to use and fold up to a wonderfully portable size. They generally come with handles for easy carrying and don’t take much getting used to if your child is already accustomed to sleeping in a crib at home. They are sturdy enough to be semi permanent, and can be used for longer periods of time – think a week at Grandma’s house. These are also amazing for quick trips, where you can lie your little one down in a spare room for a rest – think spending the day at a friend’s house. There are plenty of cost effective models, and it’s a great idea to keep one in the bottom of the trunk of your car if you have space, so that you’ll always be prepared for a nap wherever you are. Many hotels offer these free of charge to patrons, but if you have your own already with you then you never have to worry about it, and you’ll never have to worry about germs or the condition of a hotel crib. Check out these top models of portable cribs, including some of their best features. If you look up play yards, you’ll find all kinds of options. Some people will call portable cribs play yards as well, but a true play yard is something very specific, and tend to be much lower to the ground (not off the ground like portable cribs) and to be much more basic. Play yards sometimes open on the sides and can even use the floor or ground for a bottom, so often they don’t have a mattress at all. One of the biggest marks of a play yard over a portable crib is the size – play yards are much bigger and are geared for active play. Check out some great options for play yards, with their features and prices included. Choose something that makes you feel good and that fits into your lifestyle. If possible go to a store and see your options in person. If your child is older and very active, then a play yard might be a great option for you. If you’d like something that will start with your infant and grow through to toddlerhood, then consider a portable crib with an insert. Most families use these items for a large swath of their child’s young years and they can be passed down and used with siblings as well! A portable crib can completely expand your horizons as a family and allow you to expose your child to lots of new experiences.